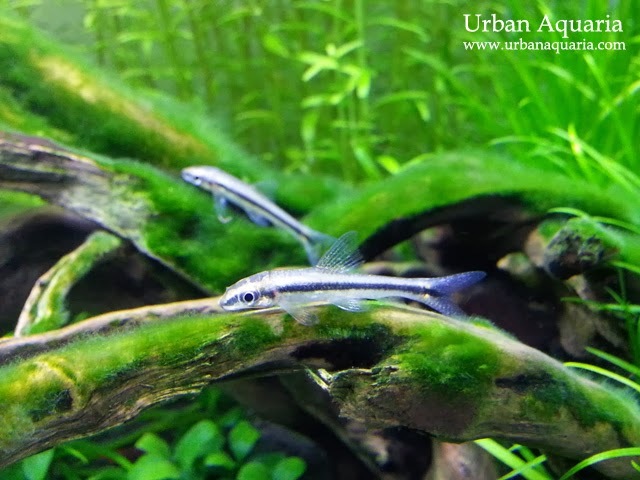 Introduced a pair of Crossocheilus Siamensis (aka Siamese Algae Eater / SAE) into the tank... i picked the smallest ones available at the shop, each only around 3cm in length. Abit light in color at the moment as they are still juveniles. After exploring for a while, they started to settle down and nibble on some green fuzzy algae, so i guess that's a good sign.